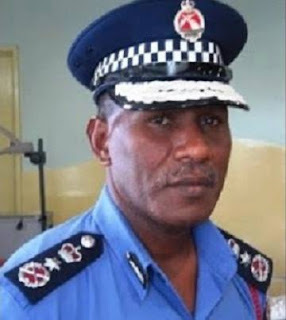 Police Commissioner, Gary Baki, is appealing to the woman who was forced by police officers in Port Moresby to eat condom, to come forward and see him personally, so a formal investigation file can be created to deal with her case. The woman victim is believed to be in Bereina in the Central province, but has not come forward since the incident. Commissioner Baki, said police officers involved have been identified but he is still waiting for her to come forward and lay a formal complaint. "I'm encouraging her to come if she doesn't want to see any other policemen.I've already left a message for her to contact me directly so that I can also deal with it from the top.Now, a lot of people will be saying, how come you identify the suspect and you have not been able to do anything about him.All I can say is this, I want this lady to come forward for us to talk to her.Get her statements from what has actually conspired and then we will deal with the policeman.We have some identity of the policeman.As far as I can tell you, he is not in Port Moresby now.Maybe he's aware that he has done this and he's actually gone out of Port Moresby but we know where he is and we will get him as soon as we can, soon after we spoken to the lady herself.That's what I want to do". Footage of the incident has gone viral on social media, especially Facebook prompting a public outcry on police brutality to be seriously addressed.